Hey, America! 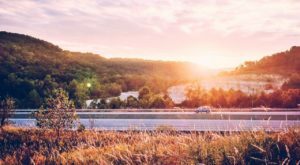 Are you ready for the best road trip of your entire life? 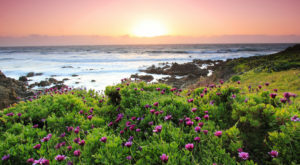 I know you’ve dreamed of traveling the country to see all the famous landmarks and cities. 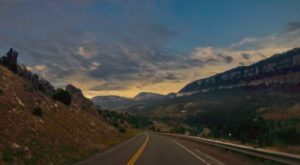 After all, freedom is the foundation of the United States, and what’s more freeing than the open road and no obligations? 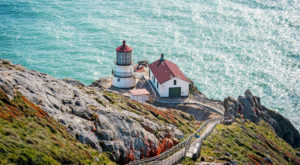 From the Grand Canyon to the French Quarter, Mount Rushmore to Mount Vernon, Randy Olson has compiled a geographically diverse road trip that perfectly represents just how awesomely varied the landscape and culture of America is. In fact, he used an advanced algorithm he created to come up with the perfect route that would appeal to everyone. 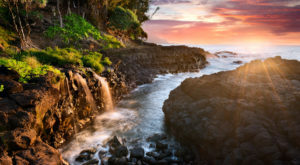 His only rules were 1) the road trip could not leave the US, 2) you had to be able to take the entire trip in your car, and 3) it would only stop at National Natural Landmarks, National Historic Sites, National Parks, or National Monuments. From there, his calculations were used to put them in the best order and timing. 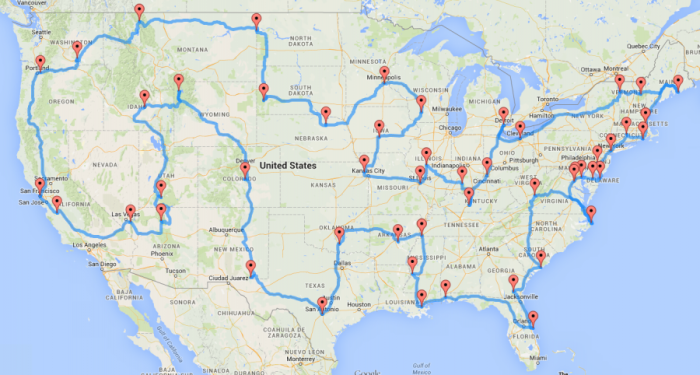 As you’ll see below, the result is the most epic U.S. road trip imaginable. So, what are you waiting for? Click here to see a more user-friendly, interactive version. 1. Grand Canyon, Arizona. You can start anywhere, but No American road trip is complete without arguably our greatest natural wonder. So, we'll start there. 2. Bryce Canyon National Park, Utah. 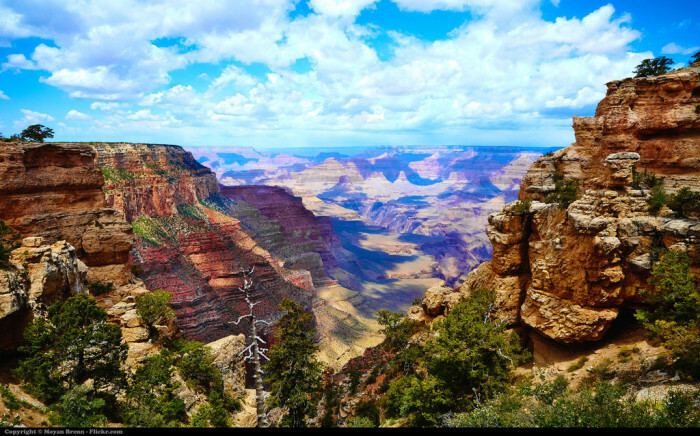 Continue the majestic offerings of the Grand Canyon by heading to southern Utah. Bryce Canyon is known for its rock formations and amazing overlooks. 3. Craters of the Moon National Monument, Idaho. The open rift cracks of the 3 massive lava fields at the preserve are a sight to behold. 4. Yellowstone National Park, Wyoming. We've all heard of it, but have you been there? It's a must-stop on this road trip. 5. Pikes Peak, Colorado. This 14,115-foot mountain peak is filled with so much to do. Block off plenty of time for Pikes Peak. 6. Carlsbad Caverns National Park, New Mexico. 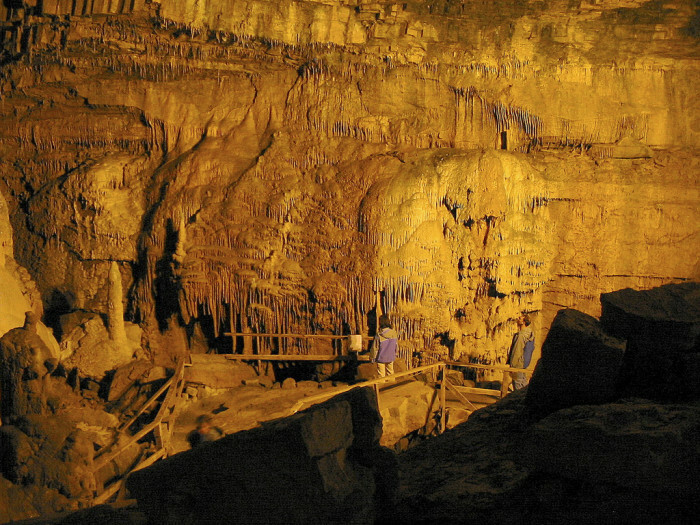 The cavern is the primary attraction here because water has created an unbelievable array of limestone decorations within. 7. The Alamo, Texas. 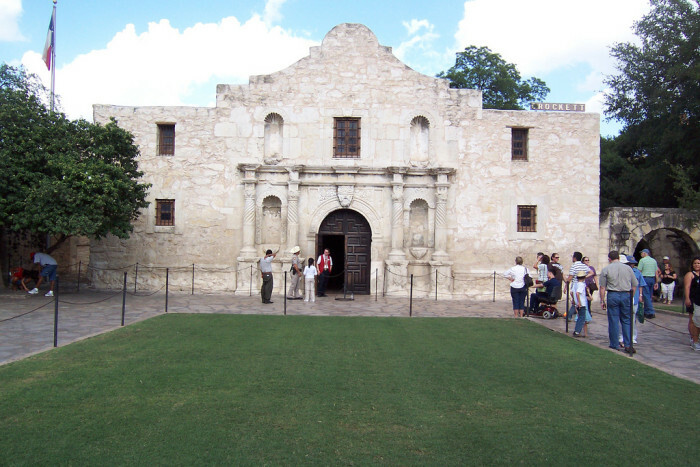 Whether you're a history buff or not, The Alamo in San Antonio is worth the visit. 8. The Platt Historic District, Oklahoma. There are plenty of reasons this is on the ultimate road trip, but don’t miss the waterfalls. 9. Toltec Mounds, Arkansas. The state’s tallest American Indian mounds can be found here. 10. Elvis Presley’s Graceland, Tennessee. Curious and Suspicious Minds must stop here. 11. Vicksburg National Military Park, Mississippi. Stand where the famous Civil War battle once took place, lasting from May 18, 1863-July 4, 1863. 12. French Quarter, New Orleans, Louisiana. 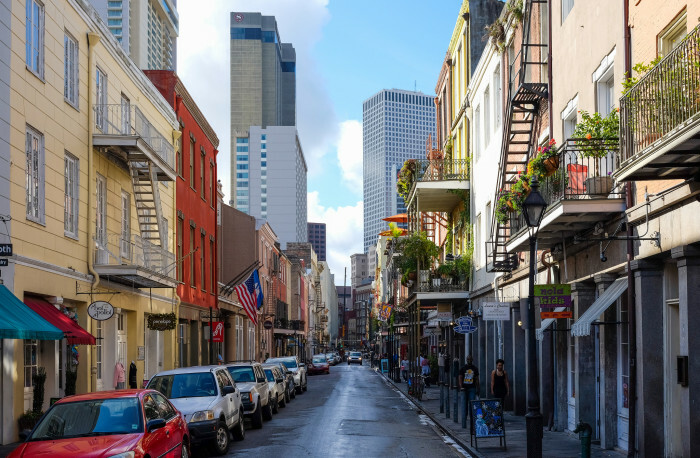 The oldest neighborhood in New Orleans, this area is full of history and culture. 13. USS Alabama, Alabama. Now a museum ship, it served our amazing country from 1942-1962. 14. Cape Canaveral Air Force Station, Florida. Rockets have been launched from here. Need I say more? 15. 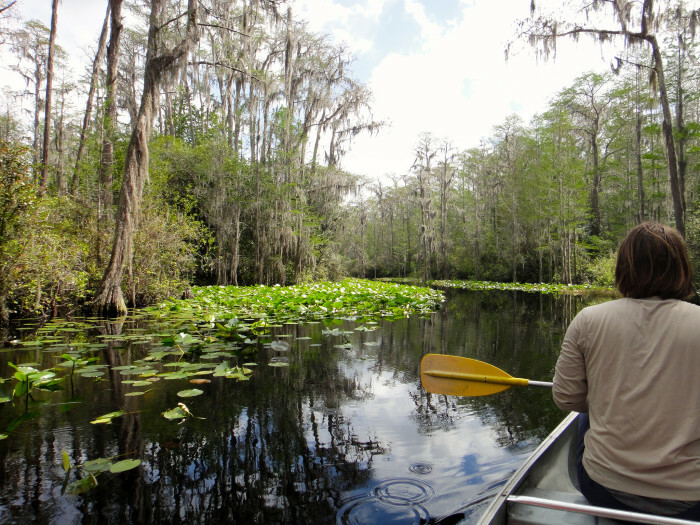 Okefenokee Swamp Park, Georgia. Time for something different in the form of a 438,000-acre, peat-filled wetland. Grab a canoe. 16. Fort Sumter National Monument, South Carolina. Famous (infamous?) for two Civil War battles, this seafort in Charleston is a historical must-see. 17. Lost World Caverns, West Virginia. 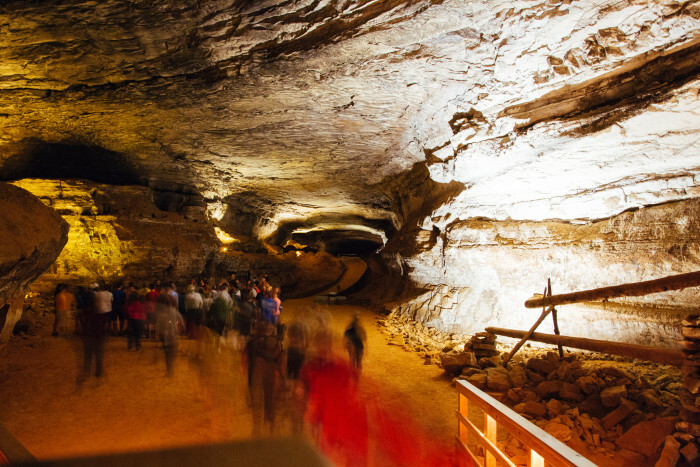 Road trips are about getting a fresh perspective, and what better way than to go underground? 18. Wright Brothers National Memorial Visitor Center, North Carolina. “First In Flight” being NC’s motto, this one is a no-brainer for the road trip. 19. Mount Vernon, Virginia. Why here? Because the plantation house of this country’s first president, George Washington, is here. 20. The White House, Washington, DC. 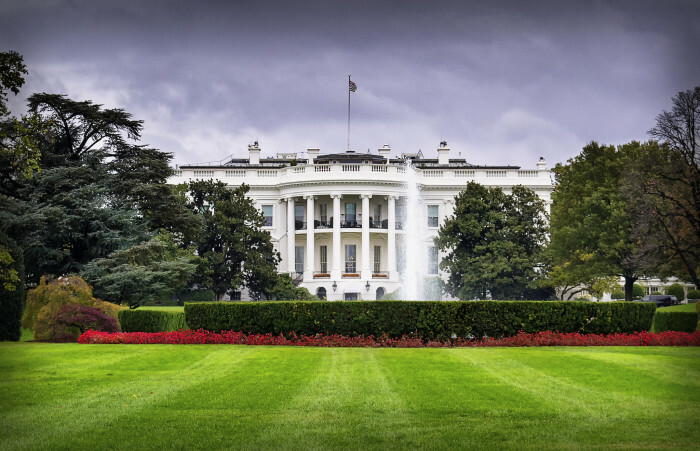 Swing by the President's home during your unforgettable journey. 21. Colonial Annapolis Historic District, Maryland. There’s so much to do in this part of the state’s capital. Don’t miss it. 22. New Castle Historic District, Delaware. Continue your historic exploration in Delaware. 23. Cape May Historic District, New Jersey. 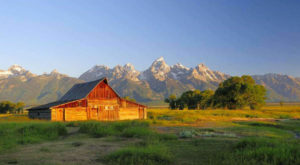 Over 300 acres and 600 buildings await you here with more things to discover than you can imagine. 24. Liberty Bell, Pennsylvania. 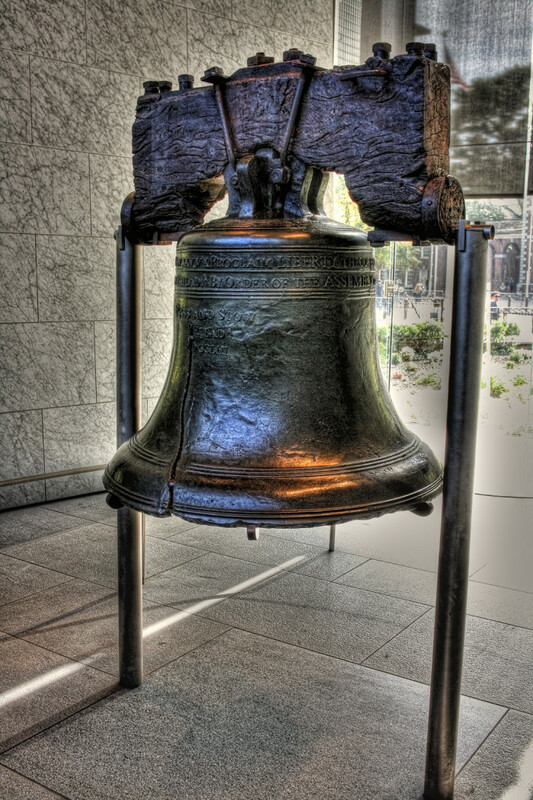 Swing by Philly to see one of America's most iconic symbols. Never forget your freedom as you travel through the country. 25. Statue of Liberty, New York. Another obvious one, but it would be criminal to leave it off of the list. She is perhaps our nation’s most incredible sculpture. 26. The Mark Twain House & Museum, Connecticut. After the crowds in NYC, check out the home of Samuel Clemens in Hartford. Literature fans especially. 27. The Breakers, Rhode Island. This Vanderbilt mansion is a historic landmark with an area of 125,339 square feet and 62,482 square feet of living area on five floors. Wow. 28. 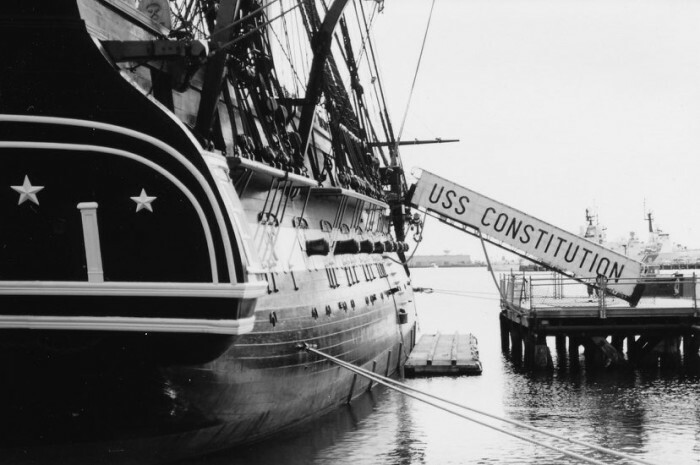 USS Constitution, Massachusetts. Named by George Washington, this ship's history is unsurpassed. 29. Acadia National Park, Maine. 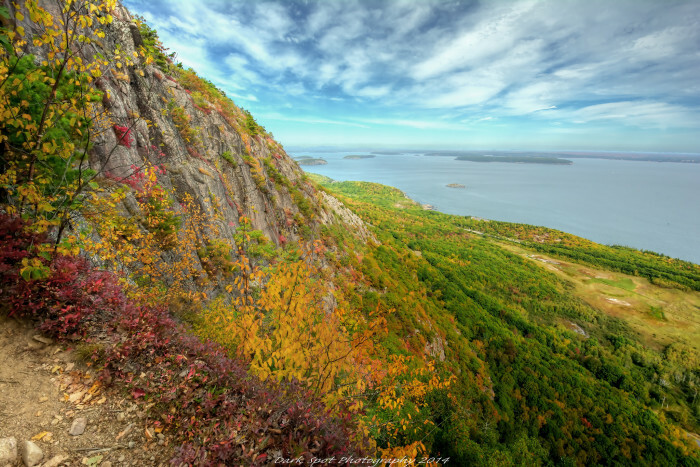 Get away from it all for a while and explore all that Acadia has to offer. And it offers a lot. 30. Mount Washington Hotel, New Hampshire. Why a hotel? Because it’s centered around a 1902 Spanish Renaissance building. 31. Shelburne Farms, Vermont. Hiking, charm, and plenty of activities, a stop in Vermont is well worth it for some peace and serenity. 32. Fox Theater, Detroit, Michigan. After all the parks and historic homes, check out the Fox Theater in the Grand Circus Park District of Detroit. 33. Spring Grove Cemetery, Ohio. The 2nd largest cemetery (and garden) in the U.S. has a design that will blow you away. 34. Mammoth Cave National Park, Kentucky. It's the longest cave system in the WORLD, and you won't forget your time there. 35. West Baden Springs Hotel, Indiana. This “resort” has a history, some of it dark, that’s too long to explain here. Stop there and you’ll learn all about it. 36. Abraham Lincoln’s Home, Illinois. Widely considered the best President we’ve ever had, it’s surreal to stand where Lincoln once lived. 37. 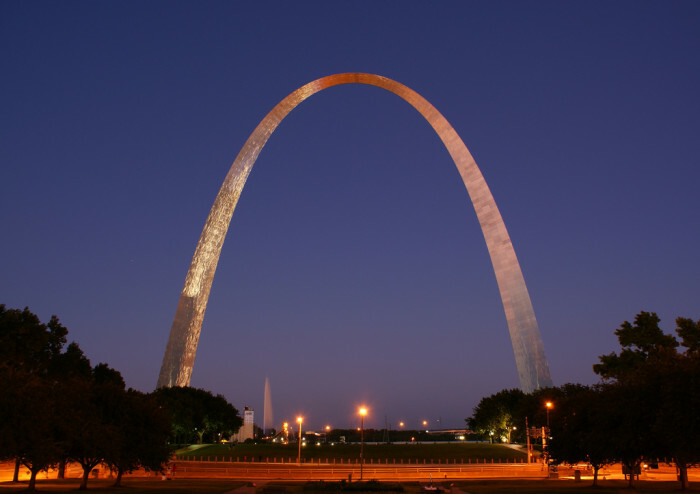 Gateway Arch, Missouri. At 630 feet, this is the tallest arch in the world. 38. C.W. Parker Carousel Museum, Kansas. A carousel museum? Yes, please. 39. Terrace Hill Governor’s Mansion, Iowa. This has been the residence of the state’s governors since 1971 and guided tours are available. 40. Taliesin, Wisconsin. This is the estate of Frank Lloyd Wright, perhaps the most famous and impressive architect who ever lived. 41. Fort Snelling, Minnesota. 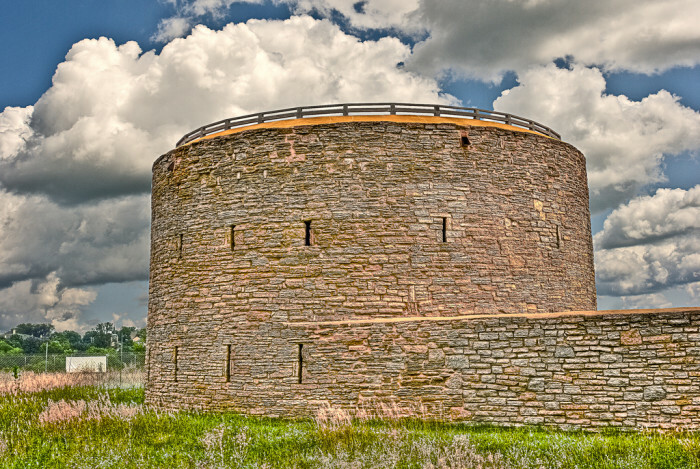 Swing by this military fortification located at the confluence of Minnesota and Mississippi Rivers to experience another part of America history. 42. Ashfall Fossill Bed, Nebraska. 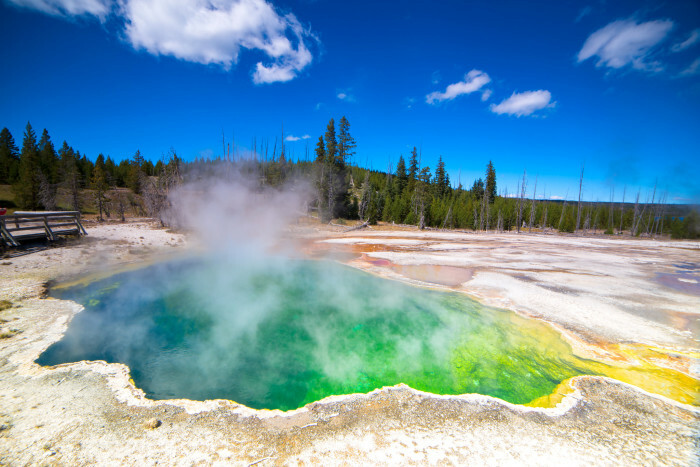 Bring out your paleontology side where a Yellowstone eruption preserved an ecological snapshot. It’s like going back millions of years. 43. 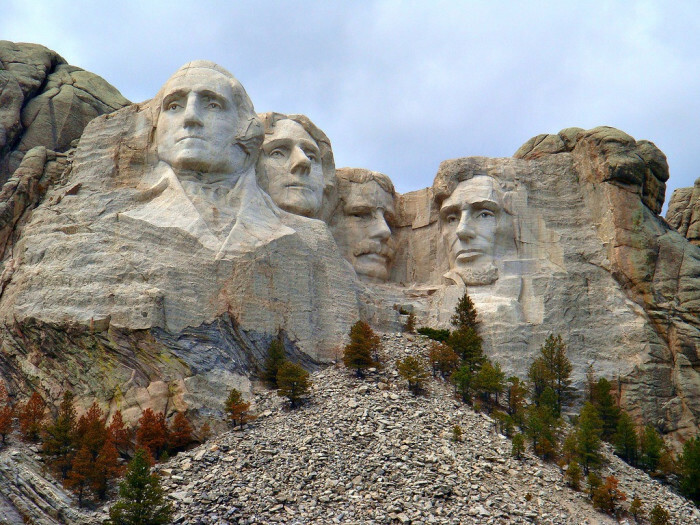 Mount Rushmore, South Dakota. Touring the USA without seeing the heads of our founding fathers would just be a disgrace. 44. Fort Union Trading Post, North Dakota. This is actually one of the earliest declared national landmarks. 45. Glacier National Park, Montana. There's arguably no place more breathtaking than here. Your road trip would not be complete without it. 46. Hanford Site, Washington. In 1943, this became a site of the Manhattan Project, which led to the first ever nuclear weapons created by the United States. 47. Colombia River Highway, Oregon. 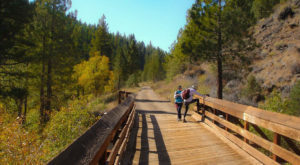 This part of the trip truly embodies “road trip” as you take in the most beautiful scenery not only in Oregon but the country. 48. San Francisco Cable Cars, California. This should be on everyone’s bucket list. There’s nothing like the San Francisco cable cars. 49. San Andreas Fault, California. When you hear San Andreas Fault, you think of earthquakes. This 810 mile continental transform fault terrifies many people – it’s extraordinary. 50. 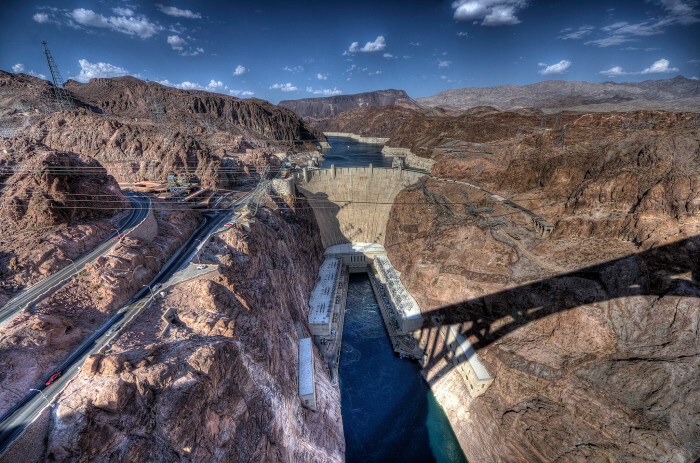 Hoover Dam, Nevada. 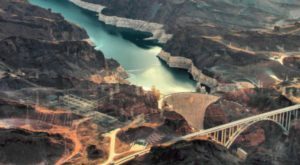 Taking inflation into account, this Dam cost nearly 1 billion dollars. Its construction is truly incredible. More details on how Olson computed the trip can be found on his web site. Now that the ultimate U.S. Road Trip has been laid out for you, will you take it? If nothing else, try to take them in sections as time allows. You won’t regret it!